In 2013, LCA conducted an extensive review of its crisis management procedures to ensure the safest environment for learning and before/after school on-campus activities. In addition to updating procedures for guests visiting campus, installing cameras across campus, and securing our buildings, a full-time school resource officer was hired to oversee the security of our campus. Officer James Vaughn is a retired major of the U.S. Army and is retired from the State of Georgia where he served for ten years as a state trooper and for sixteen years in the prison system. Officer Vaughn has his masters in Christian Education and is an ordained minister. 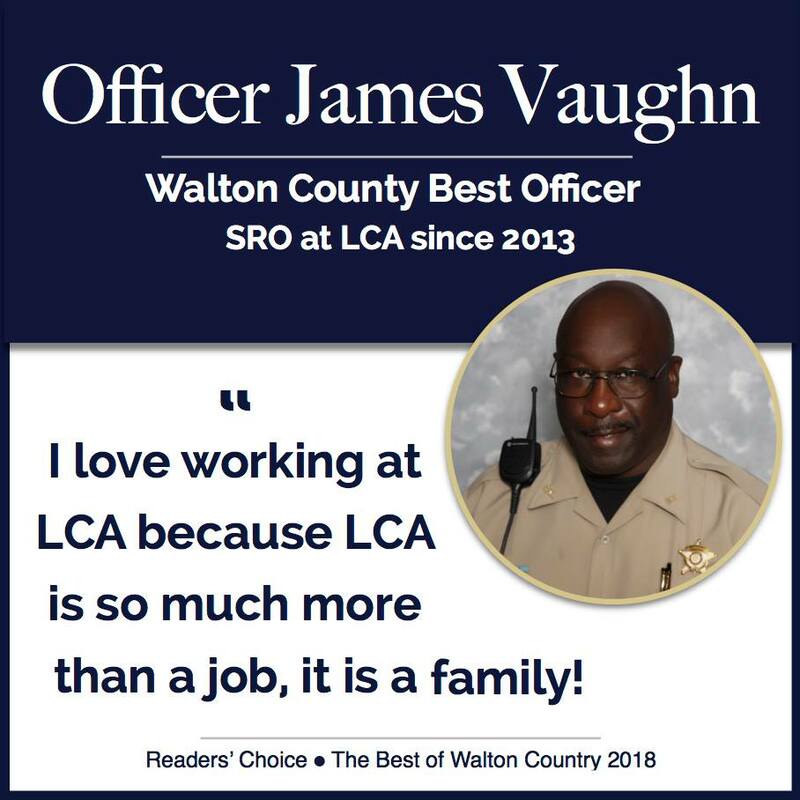 In 2018, Officer Vaughn was voted Readers' Choice Best Officer in Walton County. Congratulations Officer Vaughn!